In previous teachings, we have seen that David was a mighty warrior but also “a man after God’s own heart.” David understood that what would be impossible in his own strength would be done supernaturally by God through His chosen, anointed one – David. David was God’s willing vessel. God did the same supernaturally on the cross of Calvary. David’s was a “natural” victory over a “natural” enemy, but Jesus’ victory was a supernatural victory over the spiritual enemy – Satan. Jesus is God’s chosen, beloved Son – the Anointed Word made flesh. Jesus is God in a flesh body with God’s own heart. David the shepherd of his father’s flock became a mighty warrior who was victorious in battle because God was with him. He is a picture of Jesus. David’s victory over Goliath put the Philistines on the run. God began training David in the shepherd’s field as he fought off the lions and the bears who came to steal, kill and destroy his father’s sheep. Now, in David’s darkest hours when he was on the run because Saul was trying to kill him, God was training David to strengthen him to defeat the enemies of God and His people and possess the Land of Promise. David the mighty warrior will train mighty warriors! Then in Psalm 144, David says, “Praise be to the Lord, my Rock, who trains my hands for war, my fingers for battle. He is my loving God and my fortress, my stronghold and my deliverer, my shield in whom I take refuge, who subdues peoples under me. Vv1-2 God was David’s Rock as Jesus is our Rock who teaches, trains and equips us for spiritual warfare. David was fighting earthly battles, but Jesus trains us for a spiritual battle. He is our hiding place and our safe refuge. We must hold onto Him and His Word. Warriors who depend on God’s strength and training will be victorious. God’s ways are not our ways. David’s brothers and his father’s household came to David at the cave of Adullam. David would have to teach, train and equip those God brings to him. God will do his part, but David will also have to do what God wants him to do. Not only did David’s brothers and father’s household come to David, but also, “all those who were in distress or in debt or discontented gathered around him, and he became their leader. About 400 men were with him.” 1 Samuel 22:1-2 In other words, a bunch of sinners and misfits in debt and need. As their leader, David taught, trained and equipped these misfits how to be invincible warriors. They were trained to be a mighty army who would help David win many victories against the enemies of God’s people and repossess the land God had given Abraham and his descendants. Even David’s brothers who initially mocked David became giant killers because David trained them. Eventually, these mighty men would rule and reign with David when he became King over all Israel. They stayed with David to the end. The story of David and his misfits at the Rock cave in Adullam is a picture of King Jesus and those who are hidden in Him -- the Rock. Jesus takes sinners and teaches and trains us to become mighty warriors for His kingdom who will rule and reign with Him forever. If we are going to rule and reign with Jesus in the future, we must learn to be submitted to His authority and Word now. The enemy cannot be defeated by the ways of our flesh, only by the ways of God. Jesus raises up courageous and fierce spiritual warriors who in turn are to raise up “giant slayers.” Don’t look to the “giants” in your life as unconquerable. Jesus already gave us the victory! The enemy – Satan – wants to magnify our situation so we feel helpless and defeated. When the Israelite spies went into the Promised Land to check out the situation, Joshua and Caleb were not intimidated by the giants in God’s Promised Land because they knew the all-powerful God was with them. Numbers 14:9: “Only do not rebel against the Lord, and do not fear the people of the land for they will be our prey. Their protection has been removed from them, and the Lord is with us. 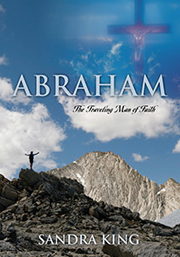 Do not be afraid of them.” Joshua and Caleb believed in God’s Word and power. They did not fear the giants in the Land nor did David’s mighty men. Fear is the opposite of faith. David, Joshua and Caleb represent faith-filled, faithful followers of the Lord. Our fleshly ways are contrary to the ways of God. We must be transformed into one who is like Jesus seeking only to do the will of God according to the ways of God through faith and obedience to His Word. Like David’s misfits who became his mighty men, we are to fight the good fight and stay with Jesus to the end.